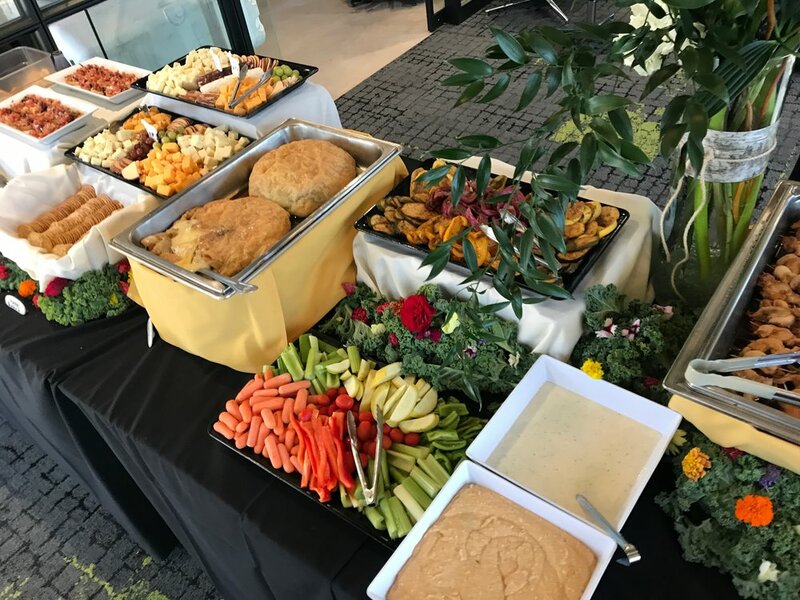 We had the pleasure of serving appetizers at Innovative Commercial Environments opening event! ICE is a company who provides elegant furniture to companies. They do some fabulous work! We provided all kinds of provided delicious appetizers for the 350 guests in attendance! We served BBQ Pulled Pork Sliders, Teryaki Chicken Skewers, Mini Empanadas with Salsa, an elegant Cheese Board, Grilled Mediterranean Vegetables and Italian Bruschetta!